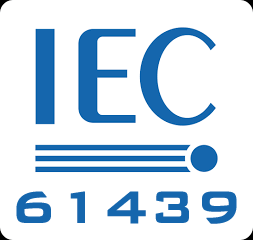 In place since 2009, IEC61439 is the European standard for low voltage switchgear isolation and enclosures. Busbars, Functional Units and Terminals for external conductors must be physically separated from each other. Under ‘Form 4a’ a Functional Unit need not be separated from its own external conductor terminal. Under ‘Form4b’, these two elements must be kept separate. The increasing need to adhere to standards and specifications sometimes seems endless. In this environment, building control panels for your own systems to appropriate standards is essential. They must deliver the performance you need and be reliable for years to come. However, it is important to avoid ‘over-specification’. This can lead to significant cost increase without a corresponding growth in value or performance. Consequently, it is essential that you get the right control panel for your needs. The majority of the Form 4 Motor Control Panels supplied by Denca are bespoke with the steelwork design being individual to each customer’s requirements while maintaining compliance with the IEC 61439 standard. This approach is often the most appropriate but sometimes a modular system can deliver the best solution. In these cases, Denca often turns to enclosure and power distribution system specialists Rittal. Denca and Rittal have worked on several oil and gas projects where the end client has set a demanding specification. We work together to offer the end customer a switchgear system that meets their particular and unique specifications. Denca has a long-standing connection with Rittal and consequently, we have considerable experience with their varied enclosure product range. Rittal has the capability to provide engineered switchgear solutions for busbar systems, drive panels and motor control centres and Denca assembles their IEC 61439 compliant platform, Ri4Power. Based around the market leading TS8 enclosure range, Ri4Power is a modular switchgear system. The system has the flexibility to meet the requirements from high power projects to small control systems. The modularity means you can achieve compliance without the time and expense associated with custom steelwork. In addition, the system brings increased flexibility and access to more options during the build phase. As a result, it is ideal for many applications. If you would like to find out more about the Ri4Power system or IEC 61439, contact Vinny Daly at vinny.daly@denca.com. Give us a call if you would like to know more. This entry was posted in Technical Information, News, Control Panel Manufacture. Bookmark the permalink.